Remembering Leslie Nielsen, A Master Of The Art Of Not Being Funny We pause to remember Leslie Nielsen, an actor who knew very well that his job wasn't to say funny things or say things in a funny way -- but who managed to be riotously funny anyway. When most people think of Leslie Nielsen, who died yesterday from complications of pneumonia, they think of Airplane! or the Naked Gun movies or, if they're really trying to outcool you, the spectacularly deranged and fundamentally doomed six-episode TV series Police Squad! Me, I think of Saturday Night Live. When Nielsen hosted the show, way back in 1989, he was given a magnificent opening monologue where he explained exactly what he did and his bafflement therein. He didn't understand why he had been asked to host a comedy show, because he was neither a comedian nor a comic. A comedian, he explained, was someone who says funny things. A comic was someone who says things in a funny way. Nielsen, on the other hand, was someone who said unfunny things in an unfunny way, and for some reason, people laughed. To demonstrate this, he delivered an innocuous line – something along the lines of "Mr. Jones, sit down, I'd like to talk to you about your son" – twice. The first time, he said it as though he were in a drama, and the response was muted. Then he told us that he was going to say the exact same unfunny line as Lt. Frank Drebin, in an unfunny way, and he did exactly that, and the audience exploded. It wasn't just indulging him as prompted, either. Without actually tilting his delivery in that direction, Nielsen made it genuinely funny. To underscore his point, he then broke character with a look of happy exasperation and basically said, "See?" It was one of my favorite SNL monologues ever, because it explicitly dissected the host's entire schtick in a way that invited appreciation, rather than making it instantly tired and formulaic. Instead of mocking his persona in one way or the other, in the manner of most monologues, it was a tiny little master class in how it's done. And it's informed every single time I've come across Nielsen since, whether deliberately or by accident. When his later movies like Dracula: Dead And Loving It and Spy Hard didn't work, I theorized that it was because he had started mugging (or was told by his directors to mug), which actively subverted the very thing that worked for him. And when I watch Airplane! 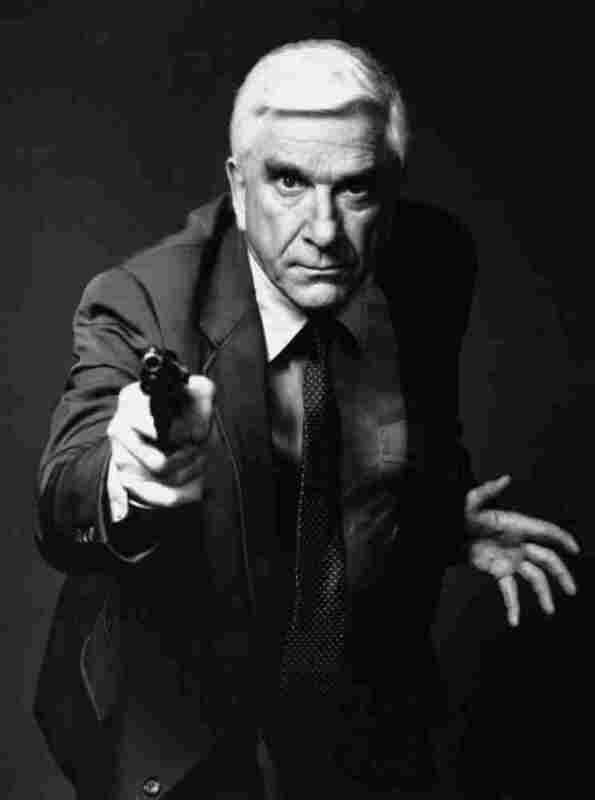 or the Naked Gun movies or – seriously, you won't believe how dumb and brilliant it is – Police Squad!, I understand just a little bit more how he's doing what he's doing, and it makes me sit in awed appreciation a little bit. Look, "And don't call me Shirley" is, perhaps indisputably, the dumbest joke in the history of anything. Leslie Nielsen was able to turn it into comic gold. Saying unfunny things in an unfunny manner and magically having the result be funny is an incredibly hard trick. And nobody ever did it better.